Do you know Debra? Maybe you've seen her on the street in NYC or over at Advanced Style. Her creativity is obvious in her dress but when I met her I understood it to be so much more than that. It is boundless, playful, and loving. She is brilliant but doesn't take anything too seriously. Debra is a ROLE MODEL. How many women of "advanced" age do we see in the media who can guide us to the incredible, liberated life we can all have, at any age? This has bothered me for awhile, especially as I get older. I want to see more examples. I want to photograph and celebrate more women of advanced age. 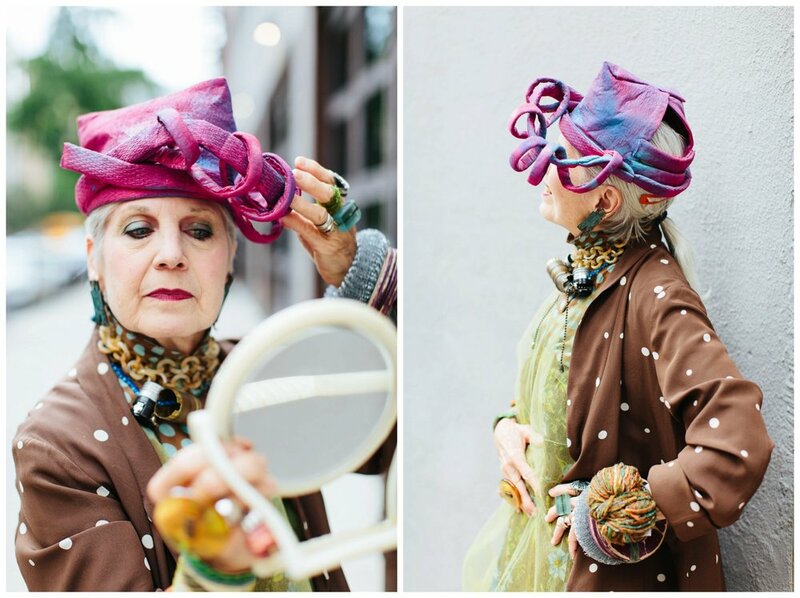 Read this well-written piece about her and one facet of her genius, which is making couture-style hats out of, wait for it, PAPER TOWELS! Thank you to Eventbrite for bringing us together to create this fun feature.